Luckily, Torayvino compact water purifier is now available in the country. This is a faucet-mounted water purifier that is easy to install. In fact, you can even bring it with you when you travel and it will save you from buying bottled water which can really be expensive especially in resorts. Torayvino is manufactured by Toray Industries Inc., which is established in 1926 and has a presence in over 20 countries all over the world. Toray Industries is a company known for producing high quality medical equipment, among others, and safety in their products is a priority. Torayvino has a 4-stage filtration system that removes miniscule particles such as rust, sands, sediments in the first screen; the second screen removes impurities bigger than 114um, those that couldn't be removed by the pre-screen (first screen); then there's the granular activated carbon that strongly removes residual chlorine, harmful chemicals, and bad odor; while the hollow fiber membrane precisely removes contaminants in the 0.1um units such as bacteria, rust, turbidity, coliform bacili, microorganisms, and microscopic impurities. 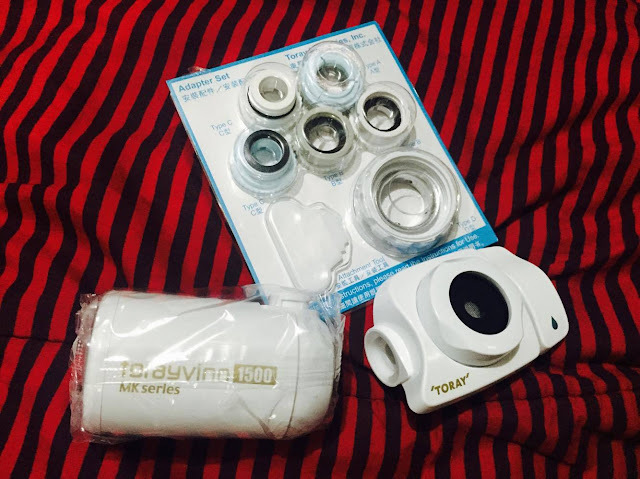 And what's nice about Torayvino is that it is compatible with any faucet since it comes with different attachments that ensure you'll be able to use it with basically any faucet that you may have. Installing it is also easy. Aside from that, this faucet-mounted water filter could provide up to 1,500 liters of purified water which equates to great savings especially if you buy filtered water by the gallon. The whole unit cost P1,980 and P1,380 for the cartridge. You only need to change the cartridge after it has reached purifying 1,500 liters or 396 gallons of water. And you need not change the unit, just the cartridge only. The Torayvino MK303 and other unit models are currently available in True Value branches in Metro Manila. 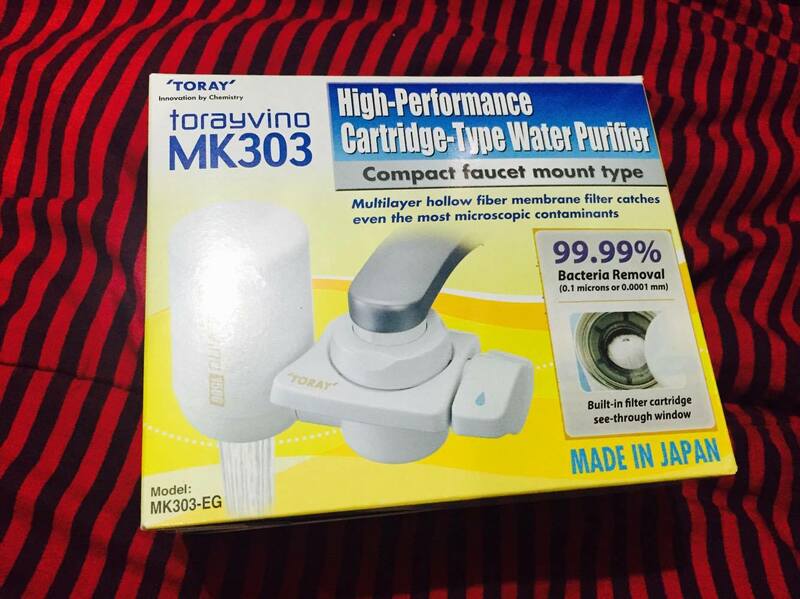 Stay tuned for Viva Manilena's Torayvino Water Purifier review.